If you have swollen feet, following these simple tips can help you to choose the correct wide fitting footwear. • Think about how easy a shoe is to get on and off. A style which opens down to the front is ideal. • Generally, slip-on styles are less suitable for swollen feet as they can cut into your swelling and cause injury. However, if your swelling is minimal over your instep and getting shoes on and off is difficult, then they may be helpful. • Styles that have a soft, padded collar around the back of the heel and ankle give greater comfort as they don’t cut into swelling. 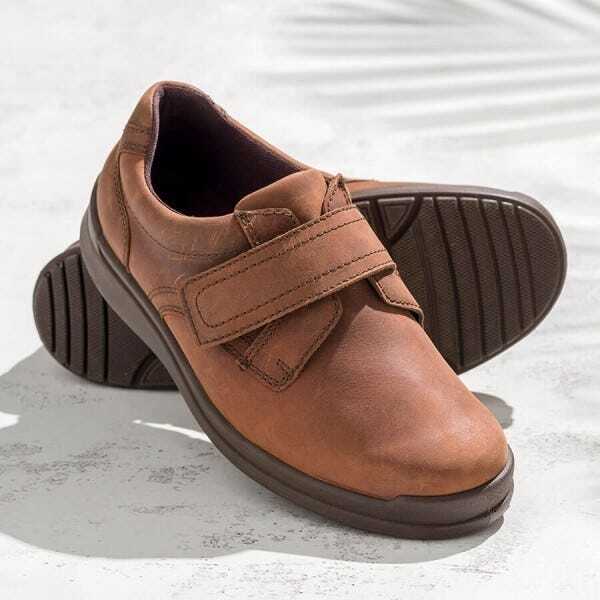 • The simple, classic instep strap style is attractive and easy to put on and take off although for severe swelling it may not be suitable as the fluid can bulge through the opening below the strap. • Heels should have a broad base and should be no greater than 4cm (1 ½") in height. 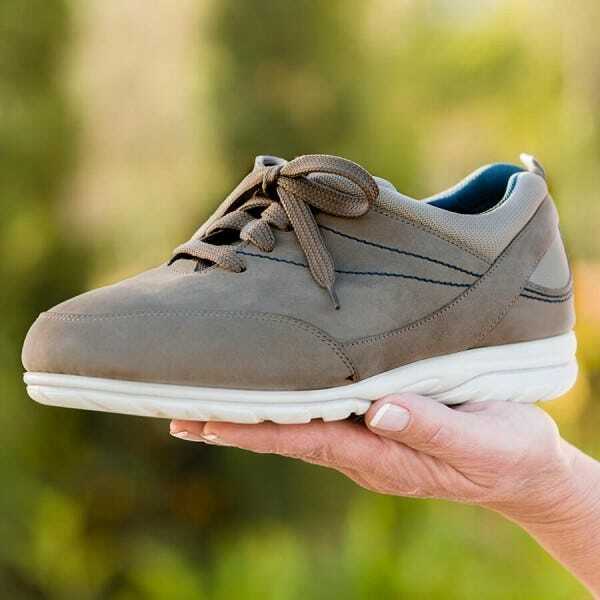 • If you have diabetes or very sensitive feet then look for shoes with minimal seams. • Choose a style that can be adjusted during the day to accommodate swelling. • Touch-fastening styles are useful as you can alter the fit if your feet become more or less swollen. They are ideal if you are unable to tie laces easily. The position of the fastening is important; make sure it is placed so that it doesn’t cut into swollen insteps or ankles. Strap extensions are often available for touch-fastening styles. 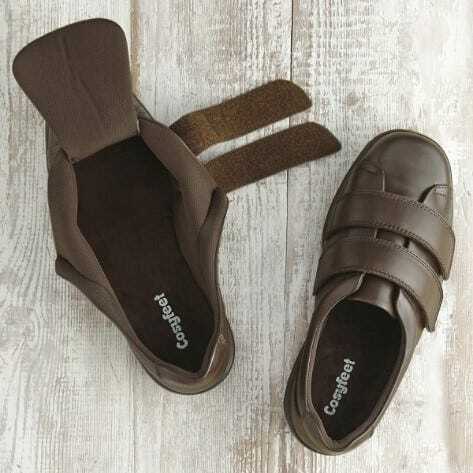 They lengthen the straps on the footwear which gives you more room to accommodate swelling. • Lace-up styles give the most secure fit with plenty of support and adjustment.